Q1 is almost over! Let’s check in on 18 for 2018 goals, shall we? Not too shabby really. Seven down. They have been fun too. Mostly. Definitely recommend the tasting menu at Babe. Really fun food with a killer view. James and I hiked around Bukit Gasing and enjoyed getting our nature on. It was pouring when we went to Jalan Alor and stuff was closed for Chinese New Year. We need to go back. We did the “High on Sugar” high tea buffet at the Grand Hyatt Thirty8 which was delightful until I realized I was, in fact, high on sugar. Can’t beat that view though. I also did afternoon gouter at Stripes Hotel. Not too shabby. The aquarium I was meh. Glad we did it once, but I don’t see the need to go back. Some of the goals are actually works in progress. Ongoing if you will. Have I made progress? Some more than others. I was doing a great job with my daily chronological bible reading. I thought I’d really made it a habit. Until Leviticus. OH LEVITICUS. So repetitive. So never ending. So crazy. I put it off and then a few days became a few weeks and now I’m quite behind. I need to get back on this. It has to end eventually? RIGHT?!? I was being more diligent on my pancake straddle stretch practice and my pistol practice, but not lately. Need to get back on it. I just checked IG and found three things that could possibly be considered selfies? Working on it. I have actually pulled my glucose monitor out of the box and used it a few times. (Like after my High on Sugar experience!) I’d like to get MORE results. Like a few weeks of waking glucose to see the norm, and then specific food testing. I really need to make a plan to tackle Mac’s baby book. That’s a big to do that I could put off forever. A friend recommend a book on Buddhism. Need to get that. But things feel good. We’re on track. This is why I like doing quarterly check ins. Keeps me honest. Keeps me from forgetting what I’m supposed to be doing. Heh. How are your 2018 goals going? 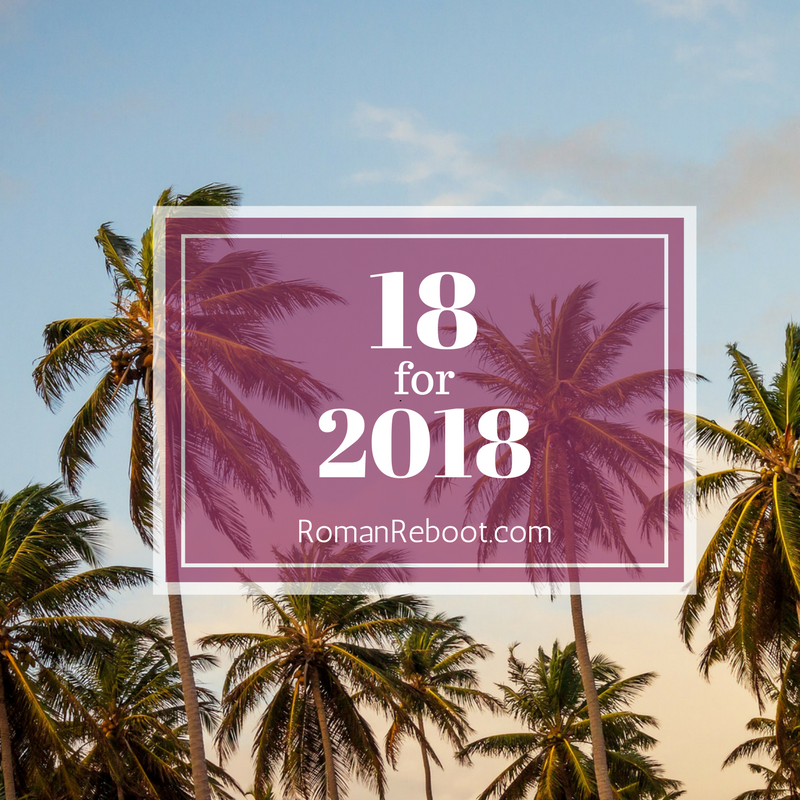 Are you plowing your way through your 18 for 2018? Do you do regular goal check ins?